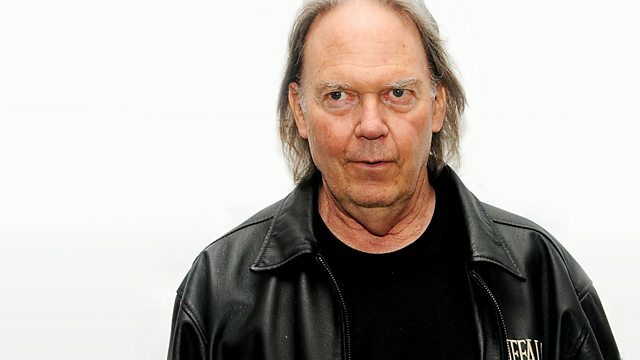 John Wilson interviews the Canadian singer-songwriter Neil Young, who discusses his new album of traditional songs, including God Save the Queen. In a rare extended interview, the Canadian singer-songwriter Neil Young discusses his latest disc, a selection of traditional songs, recorded with the uninhibited rock band Crazy Horse. The album includes a version of God Save The Queen, the anthem Young recalls singing as a schoolboy in Canada. Young, who topped the album charts on both sides of the Atlantic 40 years ago with his LP Harvest, also reflects on the role of the protest song in the age of the TV talent show, and considers his own instinctive approach to music-making, and his reluctance to become a crowd-pleaser. Neil Young discusses the dark and violent themes behind his latest album, Americana.